ISRO's Chandrayaan-1 was launched in 2008. It was considered lost till NASA scientists found it. NASA found the Chandrayaan-1 orbiting 200 km above the lunar surface. India's first unmanned mission to the moon- Chandrayaan 1- which was believed lost, is still orbiting the moon, say NASA scientists. The Chandrayaan-1, which cost $79 million, was launched in 2008 to map the moon's surface and look for precious resources. It was assigned a two-year mission. Scientists at the Indian Space Research Organisation (ISRO) lost contact with Chandrayaan-1. Now, scientists at NASA have successfully located the spacecraft still circling some 200 kilometres above the lunar surface. Finding the spacecraft required some "detective work because the last contact with the spacecraft was on August 29, 2009," said Marina Brozovic, a radar scientist in Californiai. The Chandrayaan-1 spacecraft is very small, a cube about 1.5 meters on each side - about the size of a Maruti 800. It was found using inter-planetary radar which helps observe small asteroids several million miles from Earth. Finding a derelict spacecraft that has not been tracked for years and is as far as the moon is tricky because the moon is riddled with mascons (regions with higher-than-average gravitational pull) that can dramatically affect a spacecraft's orbit over time, and even cause it to have crashed into the Moon. Chandrayan-1 reported first evidence of the presence of water molecules on the moon's surface in 2009. ISRO had suggested that the spacecraft's orbit would slowly decay and it would ultimately crash onto the lunar surface. A scientist there told NDTV, "It is very heartening that India's first inter-planetary probe has survived the vagaries of space for nine long years." 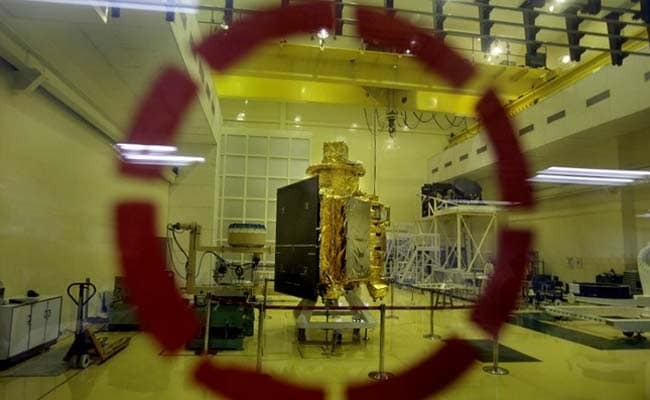 Experts suggest the Chandrayaan-1 is now a derelict souvenir, which, though in orbit, cannot receive or send data to earth, which means it's space junk. In 2014, India triumphed with its unmanned spacecraft reaching Mars at a cost of $74 million, a fraction of the $671 million spent by NASA on similar missions - and far cheaper than the budget of the Hollywood space blockbuster "Gravity". India plans to send its second mission to the moon, Chandrayaan-2, early next year.